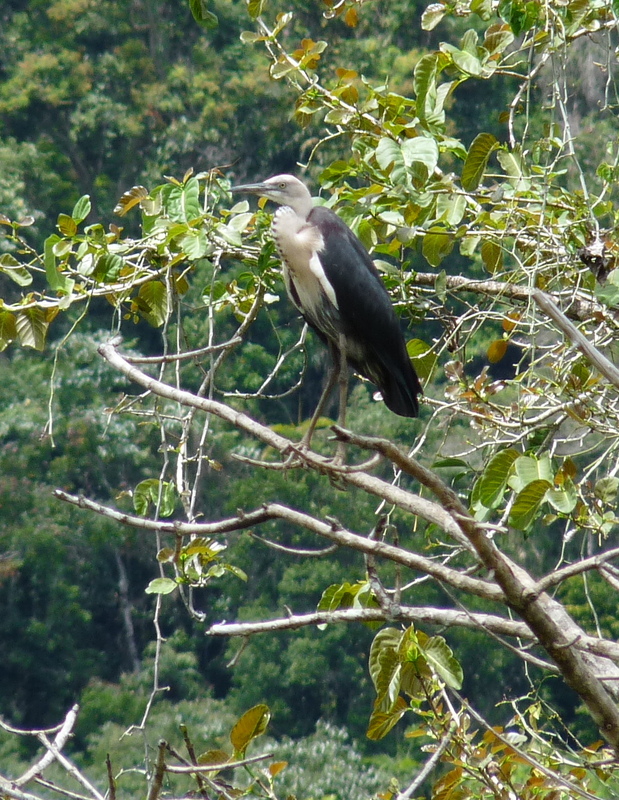 This entry was posted in Bird Observations, Pond Life and tagged Australasian Darter, Great Egret, White-necked Heron. Bookmark the permalink. Very interesting observations about which birds live happily with other birds. 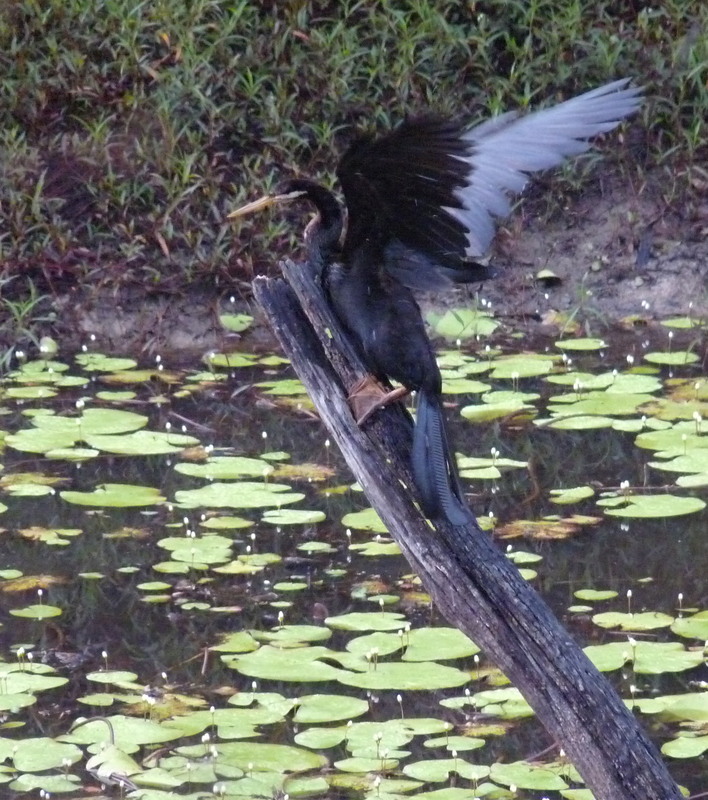 The photos of the darter using tail and wings for balance are great. 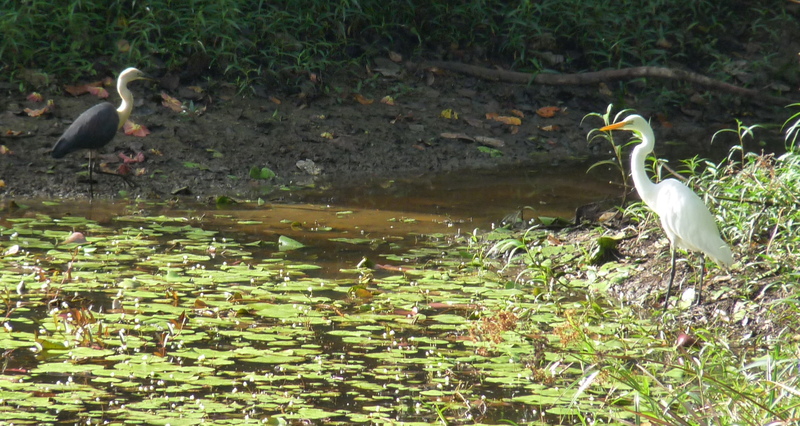 Nice to get the Heron and the Egret in the one shot – that’s well done. The Darter on the golf course dam down here seems to have departed. Thanks Mick and Gouldiae for your comments. In the last few days several Royal Spoonbill have made themselves at home and are happily making the most of feeding opportunities.